The expected departure of Federal Energy Commission Chairman Kevin McIntyre, who is in ailing health, could stall some parts of the White House’s energy agenda. There is growing speculation that McIntyre could soon be stepping down from FERC, an agency that he currently leads. The Republican commissioner did not attend a FERC meeting in Washington, D.C., on Thursday. McIntyre has not participated in a FERC meeting since July, where he was notably unable to stand for the Pledge of Allegiance. The Trump-appointed commissioner was badly injured over the summer after a gym accident fractured two of his vertebrae. After undergoing surgery for a cancerous brain tumor in 2017, he announced in March that he would provide no “details or updates on this subject,” citing family and personal privacy. Commissioners offered their public support for McIntyre during the Thursday FERC meeting. The odd ratio is due to former Republican commissioner Robert Powelson stepping down in August for a job in the private sector. Trump has since nominated Bernard McNamee to the position, but a Senate confirmation vote isn’t expected until after the November elections. With McIntyre possibly leaving, that’s another Republican commissioner. Already, a locked FERC commission could potentially block or slow down pipeline development in the U.S., along with other parts of Trump’s energy agenda. For example, FERC rejected the Trump administration’s initial coal bailout plan in January. 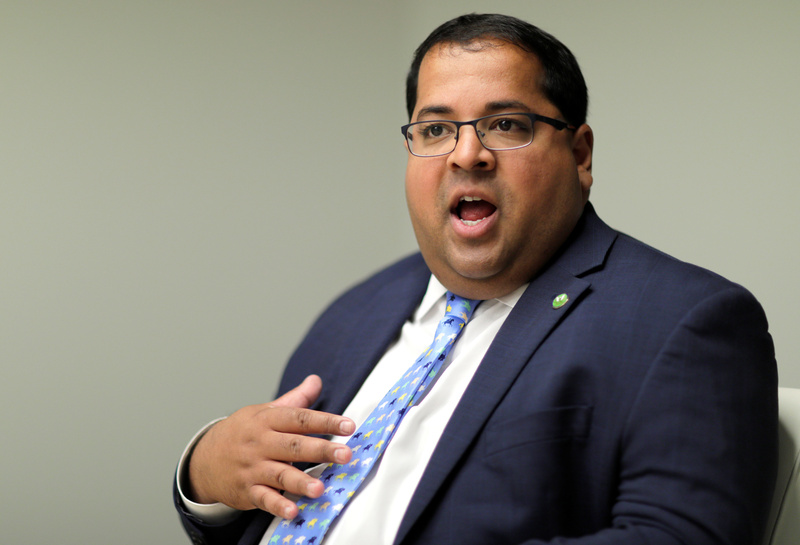 FERC Commissioner Neil Chatterjee, the other GOP member, visited the White House on Tuesday, fueling speculation that he will tapped as the next chairman.